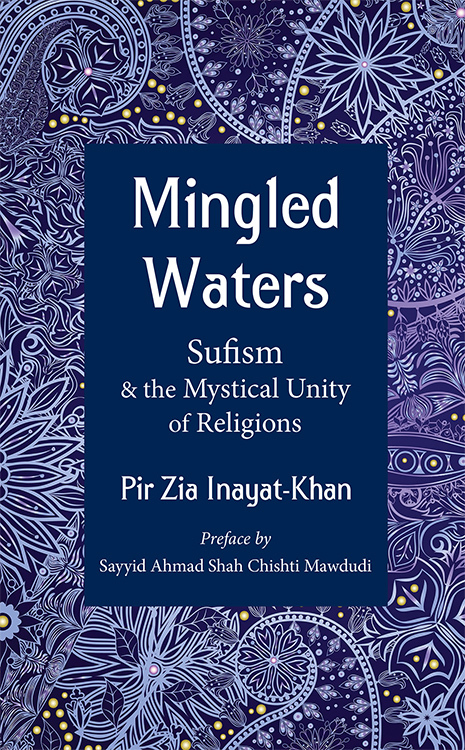 Mingled Waters: Sufism and the Mystical Unity of Religions gives an account of the deep ecumenism of Sufism as evidenced in a variety of historical, literary, intellectual, and spiritual convergences. Drawing on the Qur’an, prophetic traditions, classical Sufi sayings, traditional stories, and verses from Arabic, Persian, and Urdu divans, Mingled Waters examines the inner teachings of Hinduism, Buddhism, Zoroastrianism, Judaism, Christianity, and Islam from the perspective of Sufi gnosis. In the rivers of all the world’s revealed traditions the same water flows, the water of divine revelation. Mingled Waters peers into a handful of its sparkling drops. A Suluk Press title. Pir Zia Inayat'Khan, familiarly known as Farafil Bawa, is the spiritual leaders of the Inayati Order. His previous books include Saracen Civalry and Caravan of Souls" An Introdution to the Sufi Path of azrat Inayat Khan. "It is in the darkest hour of winter that spring starts stirring at the roots of trees. In this dark hour of hatred, fear, and visions, Mingled Waters renews my hope in the power of love, courage, and cooperation." —Brother David Steindl-Rast, author of The Way of Silence and Deeper than Words.